Dear, strangely attractive reader – I have a new book out. You possibly knew that already. Carol Ann Duffy, Philip Gross and others have said kind things about it – you can read them here. Any book has landmark moments in its progress towards the shelves of Waterstones (or if it’s really lucky, Scarthin Books). The manuscript is accepted, the cover design is agreed, the last edit is finalised. Goodness, says the poet, I don’t really want to brag about it but on the other hand LOOK AT MY BOOK, IT’S MARVELLOUS ISN’T IT? So – forgive me. Lots of readings coming up, and here they are. I’ll add more dates as I know them, so do bookmark this page if you want to know. All events start 7.30pm – unless they don’t. Friday 15th May – at Bradford Literature Festival but on this occasion as interviewer, not poet – talking to Lemn Sissay on stage. It should be a laughing, thinking, talking kind of event. More information here. Saturday 16th May – Not one, but two readings on this Spring Saturday. First an early afternoon reading at Lowsonford Lock in Warwickshire, on the lovely Stratford-upon-Avon Canal. 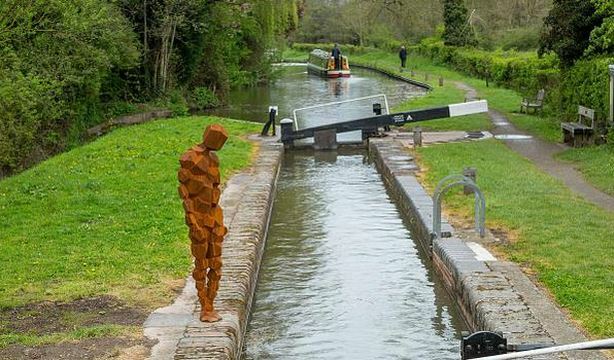 A brand new Antony Gormley statue is being unveiled (left), and I’ll read at 1.30pm. FREE, details here. Then I’m heading south for…. Saturday 16th May (evening) – ….when I’m part of a literally showstopping gig for Swindon Literature Festival, at 7pm. Sunday 17th May – Wood Festival, Wallingford, Oxfordshire. A Sunday afternoon reading-and-talking slot at 1.30pm on the Kindling stage at this green-minded family festival, in between ‘a good deal of hedgehog-related strangeness’ from eco-writer Hugh Warwick. Then up the motorway, with my soggy tent in the back of the car, towards…. Monday 18th May – …Leicester. Reading at Shindig at The Western. I’m very pleased indeed to share the limelight with poet and friend Jonathan Davidson, launching his own new collection Humfrey Coningsby which I’ve discussed elsewhere on this blog – look here. 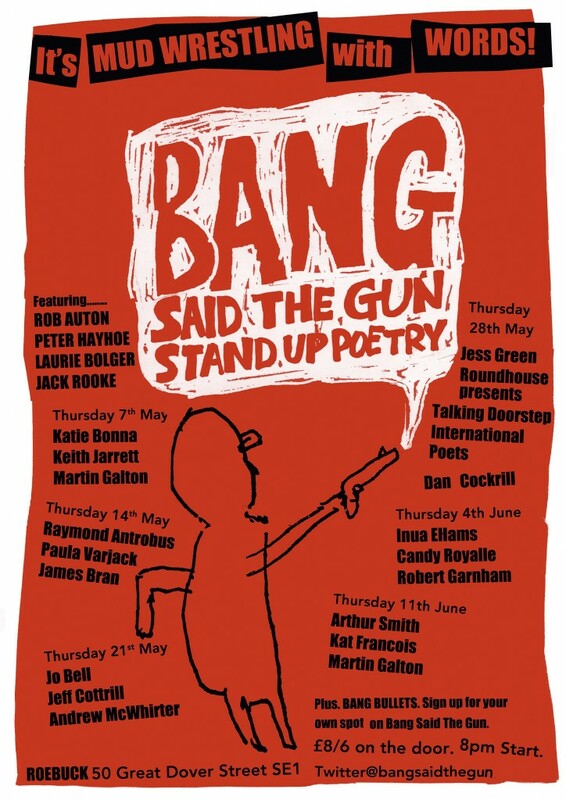 Thursday 21st May – Bang Said the Gun, London. The best night on the spoken word scene, in the big town at the bottom with all the tourists in it. Hie thee to the Roebuck, Southwark, 7.30pm, £7 and worth every cent. Saturday 23rd May – back at Bradford Literature Festival to speak with three brilliant poets. Mersey poet Brian Patten, Ethiopian emotionalist Lemn Sissay and modern Sufi John Siddique discuss ‘Poems with a life of their own’. Read more here. Late May Bank Holiday – boating. Leave me alone. Friday 29th May – I’m reading at artist Heather Duncan’s exhibition in Castle Donington (next door to East Mids airport, but nicer than it sounds). 7pm start, a brief reading. This one is FREE, but you might find yourself spending £600 on one of Heather’s paintings. No obligation at all; just come and gaze upon them – but measure the wall space before you come out. Tuesday 16th June – Rugby Library, 7pm. FREE, just roll up or call 0300 5558171 to be sure of a place. Wednesday 24th June – Bad Language, Manchester at the Castle Hotel. The best gig in the Rainy City. Saturday 27th June – reading at the Shuffle – at the Poetry Cafe, Covent Garden in London. More info soon! Friday 3rd July – opening gig at the Ledbury Poetry Festival, Herefordshire, with Chris McCabe whose new book is Speculatrix. Friday 10th July – Chuffed to be reading at Stratford-upon-Avon Poetry Festival with their poet in residence, Sally Goldsmith who may well upstage me with a glove puppet. Book here. The following day also sees a gathering of the 52 project, my global poetry workshop group – come and hear them read. Sunday 12th July – This one’s not a Kith reading, but it will be special and atmospheric. A revival of Riverlands, my show about the river Nene and its birds written with storyteller Jo Blake Cave. We are performing on the Nene itself, on a floating stage. Kicks off at 7pm. Bring a cushion and a blanket and perhaps a bottle of something nice! Tickets here. Thursday 23rd July – Vanguard Readings, London. A dream line-up to be part of, including Zaffar Kunial, Richie McCaffery, Neil Rollinson, Zoë Skoulding… and ME. Get there early folks – The Bear, 296a Camberwell New RD, London SE5 0RP, kick-off 7.30pm. August – see ‘May Bank Holiday’ above. Except for…. Thursday 13th August – Beatnik Boulevard, Banbury. At the Mill Arts Centre, Spiceball Park Road, Banbury OX16 5QE. Right next to the canal locks as I recall. Sunday 6th September – Bradford on Avon, Wilts at Words and Ears – a workshop and reading. More info soon. Saturday 12th-Sunday 13th September – At the PenFro book festival in Cilgerran, Pembrokeshire. A workshop on the Saturday (Accentuate the Negative) and speaking after lunch on Sunday. More details here. Saturday 19th September – A Saturday morning event in the Black Country – reading and workshop at Bilston Library, 11.00-1.00. More soon. 1st-5th October – I’m proud to be Poet in Residence at the Swindon Poetry Festival – come to single events, or enjoy a residential stay at the magical Lower Shaw Farm. Workshops from me, and plenty of events including a boat trip on the shortest canal in the UK. Details here. Friday 9th October – reading in Birmingham, as support act to a poet who will strike awe into the heart of any reader with a heart. More soon. Monday 19th October – Troubadour, London (part of the autumn showcase event, packed full of meaty poetical goodness). Tuesday 1st December – Poetry Alight in Lichfield. Thursday 17th December – reading at a cabaret in Chorlton to finish the year in style – watch this space! 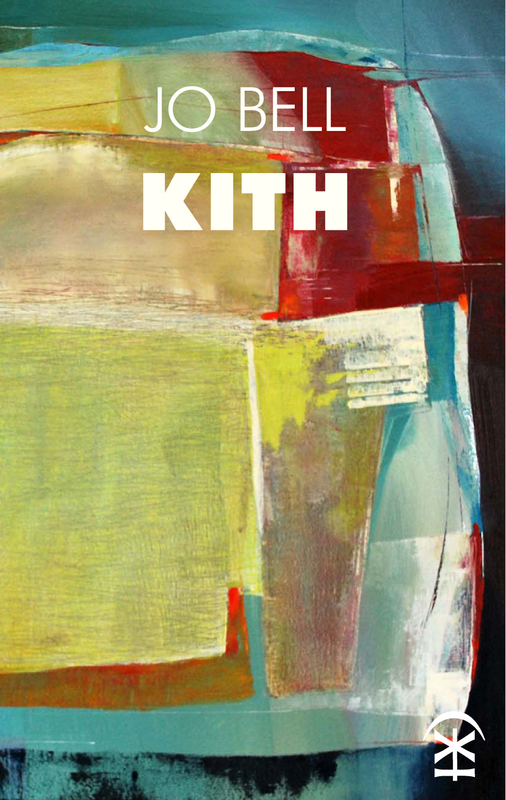 More soon about the process and the ideas behind Kith. But for now – look at my book. It’s marvellous, isn’t it? ‘Tis indeed marvellous. Looking forward to having a copy in my sticky mitt. 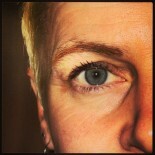 This entry was posted on March 4, 2015 by Jo Bell in Kith, Readings and writings and tagged bad language manchester, bang said the gun, Jo Bell, kith, launch, ledbury poetry festival 2015, Lower Shaw Farm, Swindon Literature Festival, swindon poetry festival, wenlock poetry festival, wood festival 2015.